:The church and science have drifted apart over the past century. Today the church is often deemed irrelevant by those who trust science, and science is often deemed irrelevant by those whose primary loyalties are to the church. 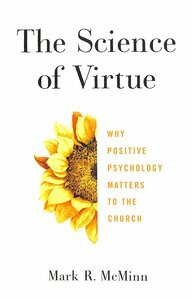 However, this book shows that the new science of virtue--the field of positive psychology--can serve as a bridge point between science and the church and can help renew meaningful conversation. About "The Science of Virtue: Why Positive Psychology Matters to the Church"
Mark R. McMinn (Ph.D., Vanderbilt University) is a professor of psychology at George Fox University where he teaches in the Graduate Department of Clinical Psychology, he was previously Professor of Psychology at Wheaton College for 13 years.. He is a licensed clinical psychologist, board certified with the American Board of Professional Psychology and a Fellow of the American Psychological Association. He has written several books, including Psychology, Theology, and Spirituality in Christian Counseling; Making the Best of Stress; Care for the Soul; Why Sin Matters, Integrative Psychotherapy, Sin and Grace in Christian Counseling: An Integrative Paradigm and the award winning Finding Our Way Home.